Rava Rotti is a family favorite of ours as its very healthy with absolutely no oil and at the same time the chewy texture is a sure hit with the kids ! 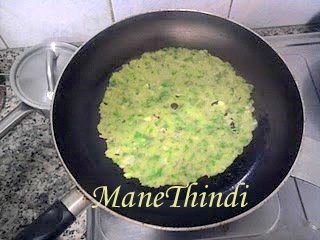 Use a hand blender or a mixer to finely chop cucumber/zucchini, onions, methi leaves, curry leaves, chillies. It should be a coarse mixture and not a fine paste. 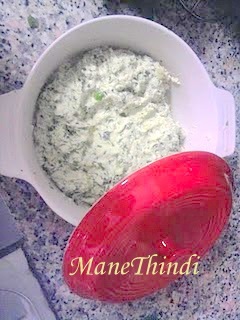 Set aside in a container and rest it for 45mins. You will notice the dough will be stringy and elastic. Take a non-stick pan and spread the dough evenly. Cover it with the lid and let the rotti cook in sim-med flame. 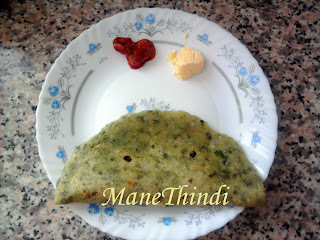 Note this roti should not become crisp unlike other rotis. Softer the rotti, tastier it turns out to be. 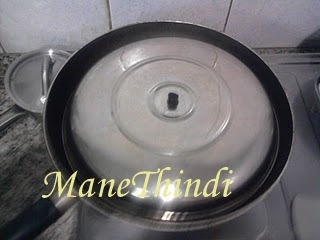 Once the rotti is done on one side for 3-4 mins, flip it and cook it on the otherside for another 2-3 mins. Keep a hot case ready as the rotti needs to go straight into the case. Rotti is ready to serve. Serve hot but soft with your choice of accompaniments. It goes best with a dollop of butter and pickle. I love this receipe ..will try it ! Is this posted by Pri ?